I’m cat-jacking Mom’s Monday post because her friend Cairn Rodrigues is here to talk about THE LAST PROSPECTOR, Cairn’s fantasy featuring the color spectrum and, best of all, cats. Cairn Rodrigues is a former professional chef who found that keyboards offer fewer cuts and burns, so she turned to writing. A lifelong nerd, she has affection for marzipan and a potentially unhealthy Twitter addiction. She resides near her hometown of Sacramento, California in a poorly decorated house. Raise your paw if you’re a cat person! Cats are great, they are fuzzy and soft, silly little creatures who always manage to maintain an air of superiority even in the most undignified situations. When I created Prospector for my first novel, The Last Prospector, I went in knowing that he rode a large cat. What I didn’t know about Grayme Ceruleya was that the man really, really loves cats. Big cats, small kits and everything in between that purrs, Prospector is definitely a cat person. How it happened, I’m not really sure. It’s been my experience that characters create themselves, Prospector was always a cat lover and I eventually figured it out. His love for cats is in his blood though, his clan is well known to be the finest mount trainers in all of Solstice and cats are the family specialty. Back in the misty times of Solstice’s history, the dark goddess Ynoirya petulantly turned all the snakes and cats of the green tier into giants. She had her reasons, mind you. Over time, some of those giant cats found their way into the neighboring blue tier of Cyannis and eventually became domesticated. More like super-sized housecats than lions, Cyannish cats are used as mounts, for vermin control and even patrolling security for family farms. There is something uniquely ineffable about felines. They are so well known to us, like a witch’s familiar, and yet so mysterious. We can’t stop trying to figure them out. Perhaps it’s why the kitties slipped in and carved out a chunk of my story to claim it for all catkind, because they could. While the first book in the Song of Solstice series features Prospector’s two mounts, Willow and Mak, be assured that the cats to come are epic. Temperamental, curious, loving and heroic, cats are as big a part of the story as anything else. I had a very special cat once named Charles Howard; he disappeared one night and didn’t return for two years. CH died just a few months after coming home, on the day I was writing the chapter about the loss of Prospector’s beloved Willow. In many ways, Charles Howard is imprinted on Solstice as a way of mourning him, and he lives on forever as Chachi the plump orange kit. Recently, I adopted a lively little rescue kitten. She’s a grey and white tabby called Viva who has rebounded very well after being abused early on. It’s wonderful to have a new life in the house, so full of love and energy. There is a good chance she will carve out her own turf in Solstice someday. 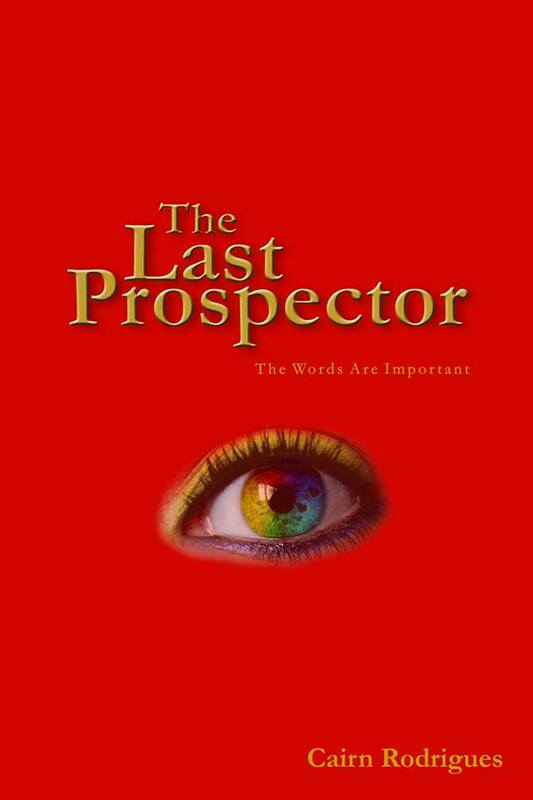 I do hope you will read The Last Prospector. It’s the start of a much larger story, filled with interesting people, gorgeous scenery and cats. Silly, happy, heroic cats. A WRITING PROMPT FOR ANIMALS: Would you let somebody ride you? Just anybody, or a particular person? If you didn’t like it, what would you do? This entry was posted in Guest Posters. Tagged Cairn Rodriques, cats, fantasy, THE LAST PROSPECTOR. Mandriva 2011, I Shall Have You Yet! Make sure to tell your mom thanks from me, as soon as you let her out of the basement. Hi, Cairn. I like you take on cats. They leave such a hole when they go away, don’t they? For all their well-known independence, they need us to be their friends. They can take care of all their own needs but that. BTW, have you read the childrens’ books: Freddy the Pig? There is a well-known cat named Mr. Jinx in those stories who kept me company many along year ago. Cats are darling! My best friend has two that I absolutely love! The DH and I are allergic to some breeds, especially Siamese, but these two don’t make us sneeze! Fortunately, we also love dogs, and always have one! I enjoy putting a pet in a book, also reading about a pet in a book. Makes the characters seem more human. Loved the story about your wayward cat. How neat that he came home after two years away. I have had cats disappear for days or weeks, but never years. @Jane – I’ll have to check those books out. When I was a kid, we had a Siamese boy named Jinx. We also had a white cat with one blue and one green eye. Her name was Priscilla and she didn’t care for rambunctious kids. There’s a very special cat in the series name Prys who looks suspiciously like Priscilla, except much larger 😉 This reply took me forever to type out because Viva “helped”. As a child, I had little use for cats – because, unlike slobbering puppy dogs, cats seemed to have little use for ME. Pets are supposed to be playmates, right? As an adult, I swore I’d never give house room to a creature that sat atop the fridge, looking down its nose at me as if to say, “The minute I figure out how to operate the can opener, you’re outta here!” They all seemed to have this air of superiority, which is pretty cheeky for an animal that expects you to feed it and change its litter box regularly. But then I met Taz. Taz belonged to a neighbor but adopted me (God only knows why). We slowly warmed up to each other – and eventually, he owned me. Oh, I never fed him – though he tried once or twice to feed ME – precious little songbirds, lovingly dropped at my feet. He was well cared for – he just preferred to hang out in my lap, having his head stroked, to hanging out across the street at his own home, with his twin. Now, I could appreciate a cat – they’re not that “needy.” And I’ve met plenty of cats that aren’t neurotic, in the years since childhood. That said, I’d rather keep my husband, and he prefers not to have pets in the house. I’ve known many a neurotic cat, and currently have one: Katya. It’s kind of nature/nurture: Get one neurotic cat, and each new addition is made neurotic by association, passing it down the generations. Our Woods are Good: They’re Full of Morels!